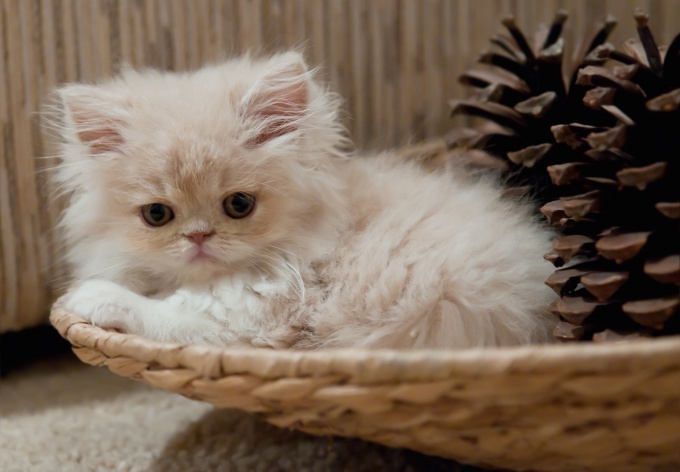 To accustom to the toilet very small kitten pointless – first of all, he still unsteadily formed the habit of doing his business in the tray, and secondly, it would be difficult to leap to the side of the toilet and keep it. 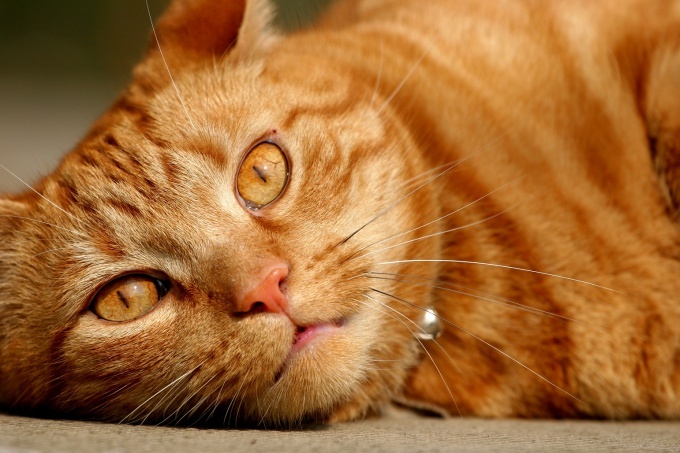 Why wait until your pet will be at least three to four months. However, some "preparatory work" can be done in advance. If you are determined to teach the animal to use the plumbing – you can buy instead of the standard tray is a special kit for this purpose. They come in different models and represent essentially the same tray, only a rounded shape, allowing you to securely attach it to the sides of the bowl. 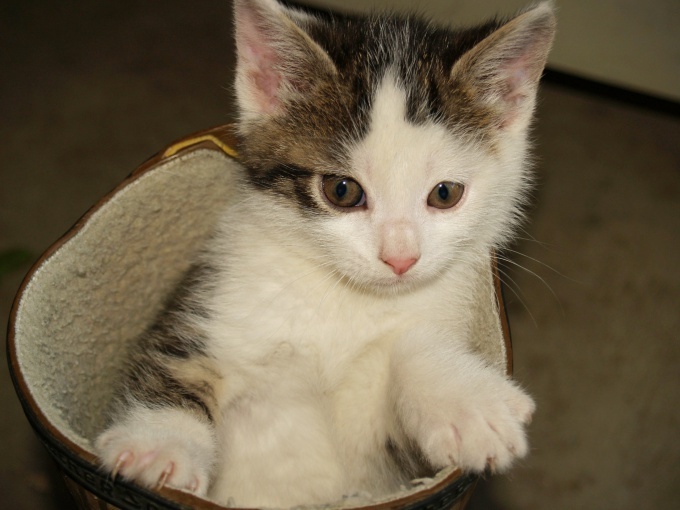 If the kitten is from the beginning will get used to going in a tray – adapted to the new conditions will be it much easier. 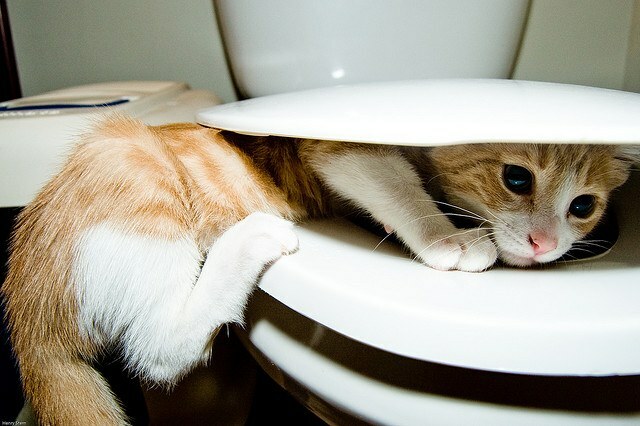 After your pet has learned to use the tray "without mistakes" - gradually move the litter box to the foot of the toilet. If the tray was originally located in the toilet – you may be able to rearrange it "in one go". Otherwise, gradually move it in the desired direction – 5-10 centimeters after each use. If at some point the kitten started having problems using the pan – leave it in place for several days, after which resume the process. After the pan will be at the foot of the toilet, let the kitten 5-7 days to get used to a new place of dislocation of his toilet. Now you can start to raise the tray above floor level, simultaneously reducing the amount of filler. Some kits to encourage cats to use the toilet equipped with devices which allow to gradually lift the tray. But you can also use the "antiquated methods" - daily just place them under litter box small (thickness 1-2 cm) pile of Newspapers. Ensure that the design does not wobble. Observe the behavior of the cat. If at some point you will notice that he is uncomfortable – for a few days, leave the tray at the same height. When the tray rises to the level of the seat – wait a few days and make sure the kitten is confident he hops up to the desired height and doing her business without any problems. If everything is in order – get the newspaper and set the tray directly on the sides of the bowl. About a week later when the kitten is already accustomed to going to the toilet here, get, how to wash and clean out the tray (the cat does not have to find it by smell) and leave the seat up. 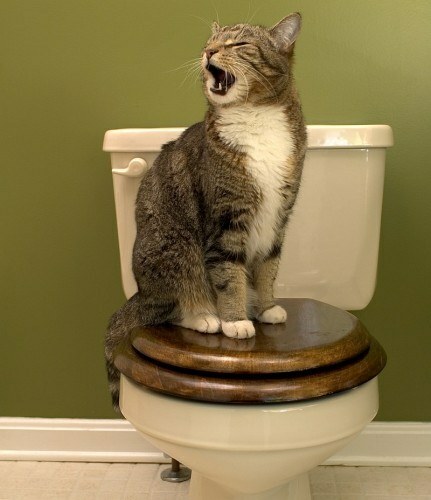 Your pet will remain other choice – he'll just have to use the toilet for its intended purpose. 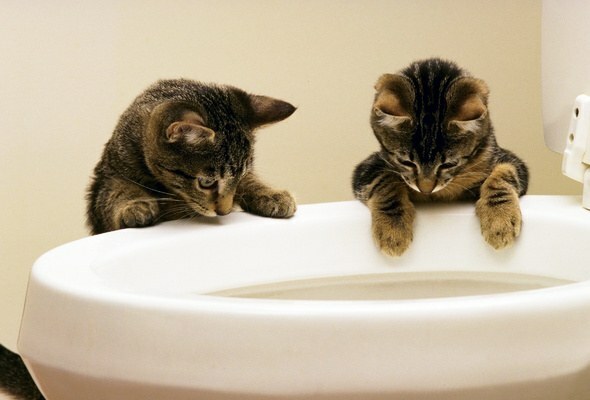 Device for training cats to use the toilet make the transition from tray to smooth the plumbing in their day, you can cut a hole, gradually increasing it. The same can be done with conventional tray – first, cut a small hole and then expand it as long as the design will not be alone bumpers.